With a new year brings new improvements, especially roof improvements. 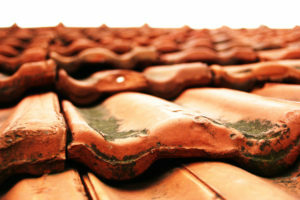 What better way to start off the year fresh than to enhance your roof with your tax return? Unfortunately, when making a home improvement, you aren’t able to deduct the cost in the year you’ve spent your money, however, there is good news! Keeping a record of those expenses could possibly help reduce your taxes, if you ever decide to sell your home in the future. Roof improvements can be costly, but when working with Eastbrook Construction, we guarantee to give you the best appraisal. Need a new roof this year? If you’re in need of a new roof improvements done locally, turn to Eastbrook Construction. With over 20 years of experience, we work hard to see our local residents in Livingston and Oakland counties happy. There are a variety of choices to choose from when it comes to roofing. The look, style, angle… we can give you advice and recommendation, but the choice is yours. Specializing in architectural shingle roofs, asphalt shingle roofs, gutters, new construction, and roofing repairs, we’ll make it our priority to deliver to you a beautiful roof. If you ever need help with advice or budgeting, Eastbrook Construction can help with that as well. As a certified and insured roofing contractor, we are here to give you exactly what you need, as soon as possible. We want to be able to provide you with whatever you need to be installed, repaired, or improved simply because we like to see our customers satisfied. Have you had your roof inspected lately? Home improvements are often on the list of things to do with tax returns. Put your tax return to good use this year! Roofing is a large investment, but we are willing to walk you through the process to help you understand and make the best choice. Contact us today to request a FREE quote for your roofing needs. We look forward to hearing from you soon! This entry was posted in Roof improvements, Roof installation, Roof repair and tagged New roof this year, Roof improvements done locally, Tax returns for new roof. Bookmark the permalink. ← Don’t Let Holidays Wreck Havoc On Your Gutters!